3 Ideas for a Book-Game — What!? I like reading books — and playing video games too. I was thinking… What if we combine books and games into a single medium? Obviously, the book will be in digital form (ebook). And, what would it be called? 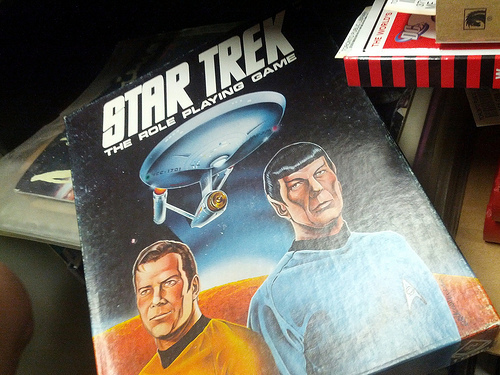 A “Game-book”, maybe a “Book-game” as the title suggests, or how about “Interactive Literary Entertainment”. Regardless of what this new media will be called — I have conceived some ideas on how it may be implemented. I’ve got to tell you that I’ve written this post without doing research on the net first — so the ideas I may come-up with — might be already implemented (or not). Finish a level to unlock a page (or chapter) of the book. A game level is completed once a player accomplishes some goal — like reaching a finish line, collecting necessary items, or defeating an opponent, etc. What if the book is hidden in the game, and can only be unlocked — piece by piece by completing each level. Of course, once the game is completed — the whole book is already readable. A disadvantage of this idea is that the reader’s (or gamer’s) reading is slowed down because she has to complete another level in able to read the next page (or chapter). Though, a workaround is to complete the whole game first before reading the hidden book. A quest to find the missing pieces of the book. A game genre that would really fit with this idea are role playing games (RPG). RPGs are game where you control a hero, who may have companions or none, then you travel across lands, defeating enemies and collecting items (e.g., gold, weapons, armor, etc.) along the way. Aside from commons items, the hero will be collecting the pieces of the book as well. Optionally, the contents of the collected pieces may provide hints and clues to get further in the game. I actually recall playing RPGs in the past where you collect missing pieces of a manuscript, but sometimes they are just unreadable items, and are far from a complete book in length — spanning less than ten pages or so. Books inside a virtual world. In this type of game, the books are available in their complete form, unlike above. There are freely available books, and there are books that are either well hidden or can be obtained for a price, using money (or gold) obtained in the game to buy it. This can be implemented in an online world with multiple players — and some of those players can be authors. Authors that can make money by selling their books in that world. Whether the game money can be translated into real world money depends on the game system. There you have it. While I was writing this post, I recall what some people say — that the reason kids these days don’t read books anymore is because they play too much video games. If that’s the case, then why not combine the two? But let’s be realistic for a moment. If a person is only there to play the game, even if he unlocks the book (or assembles them), hey may not even bother reading it — on to next game. You can’t really force people to do what they don’t want to do in the first place — unless you use force, which is not right and can induce resentment. How about rewards? Rewards can work — but often becomes ineffective after a while. What can be done then? We could reinvent the game (or book) — the ideas above are my contribution to that cause. How about you? What are your ideas for combining the two (book and game)? If you’re reading this post, most probably you’re a book reader like me. If you’re not, then I’m sure you know what a book is — it’s those things people read at the library, other than the ‘Keep Quiet’ sign. A book are written by people called authors, a book can have multiple authors though— and sometimes it can even be written by the person they called ‘Anonymous’. To this day, no one has ever seen that author’s face yet. A book can be about any topic under the sun, or under the moon if the topic has something to do with nighttime. I apologize if you find my introduction somewhat corny. In this post, I’m gonna list some of the weird ideas I have that relate to books. As you already know, books, regardless of genre or type follows patterns that are proven to work. For example, a book cannot be too short (unless it is intended to be a pamphlet) because it’s pricing is somewhat proportional to the number of pages it has. Another thing also is that an author has rights to the book she has written (there are exceptions of course, like if she has agreed to give the rights to the publisher). Meaning if another author has just copied contents of her book, then she can sue her on court. By the way, we all know it’s called ‘plagiarism’. A book that has a long (original) version and a short (concise) version.There are actually real books like this in our world, but they are not so common. This format will definitely work better for non-fiction books. This idea is useful because some books just contain fluff (filler words). Sometimes the same idea is just repeated over and over again throughout the book. It would be beneficial for the reader to have the option to read a shorter book. After all, one of the main purposes of reading a book is to acquire knowledge. There are people who pride themselves in reading long books — while some just want to get the information they need and nothing more. The same book that has been rewritten by a different author.This is a difficult to implement in our world because of the legal complications. But in an alternate universe imagine for a moment that this is common practice. For example, a reader who is more experienced and knowledgeable about the book topic contacts the author and explains the situation to him. The author then agrees to have his book rewritten — by a different person. But hey, they might even collaborate on the project. Besides, the original author can learn more about subject matter of his book from his new co-author. After it has been rewritten, what we have then is a book that is superior to its original version. It’s definitely a 2.0 version (borrowing from software development concepts). Imagine the benefit the readers can get from the new and improved book. A fiction book that the original author intentionally left unfinished — other authors then are allowed to write their own version of the rest of the story. This is somewhat happening in our world, though, the story is already finished and the continuation of the story — unless written by the original author, is what they call ‘fan fiction’. What if you are one of those authors who write the rest of the story. How would you like it to end? I guess you have read books where you didn’t like how the author ended the story. In your mind, you created an alternate ending for the story. Since it’s fiction anyway, why don’t you make your version of the story ‘The Story’? Of course other people who have read the book won’t agree with you — but hey, it’s your own fantasy world right? Just as they have their own fantasy world too. A book that builds and supports a certain idea in the first half, then uses up the second half to critique the idea or support an opposing view. Although that kind of book might actually confuse the reader more than anything else. It can encourage thinking deeply and critically though. That is, the reader will decide for herself what to believe in — after being given the facts and supporting arguments for both sides. Think of it as debate that is written in book form. By the way, it would be nice if the reader can choose which half she’s gonna read first. Also, the other half can be written by a different author. I hope they become friends though, putting aside their differences. A book that has more than one version of its content.Think of it as a trading card game. The book will come wrapped and the reader can only open the book once she buys it. She can then compare (or even trade) the book with that of her friends. She can even get a rare version that is valued more than the original price of the book. It’s just like one of those rare cards that you get in a random pack in trading card games. This is possible, but to think of it, it’s more work for the author to write multiple versions of the same book. Also, readers who get the least popular versions will feel disappointed. But hey, the point is to make it kind of a book raffle draw. These are my weird (or not so weird) ideas for books. Some books in existence may have actually used these formulas. 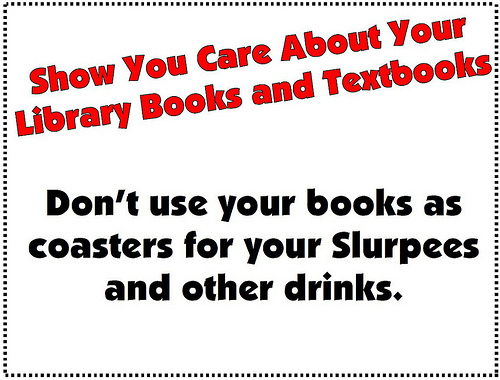 Except for item 1, I currently don’t know books that are like items 2-5. If you’re an author, or even a blogger like me, I hope you found my ideas somewhat interesting. If not weird. Who knows, maybe you can also come up with your own weird ideas for a book (or blog). Good Luck on finding your own weird idea! As a Writer are You "On" All the Time?